Glad to see you...come back soon. Visit MelStreet.com,dedicated to the memory of a country legend we lost too soon. 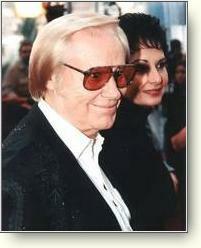 We are always looking for great George Jones fan sites. We've found a great one called Possumville.com. It is part of a family of sites dedicated to country musics best including Hankville.com, Hagville.com, and others. Worth a visit for sure. Be sure to stop by POSSUMVILLE.COM! Laugh out loud.... check out a wonderful country/comedy act, G W Saunders. Now booking.Visit his web site at www.gwsaunderscountrymusic.com and discover why heplays the same venues every season! GeorgeJonesMusic.com welcomes your link to be placed on this page. Please look over our rules and we wish you the best of luck always! 1. Your site must have country music content. 2. Link only sites will be judged on merit without placement promise. 3. All images, music, and written material used must be licensed. 4. A link to George Jones Music.com is required for placement. You will be sent the proper code options. 5. No adult sites or sites that permit adult, gambling, or other family unfriendly content, images, or links. 6. No banners or large type allowed. Let's keep the page enjoyable to read and easy to navigate! Copyright 2002 Alma E Mounger Enterprises. All Rights Reserved.